1. You fill out the quick and easy info form under our Contact Us tab. 2. We get in touch with you via phone or email. 3. We listen to you to help identify exactly what's going on and how we can help. 4. 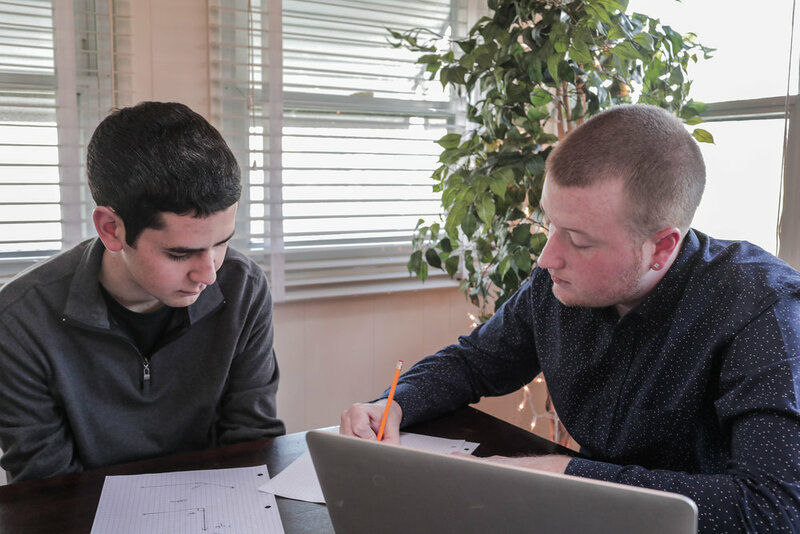 You make a payment, we schedule your sessions, and you sit back and watch your student reap the benefits of excellent private tutoring and coaching. MTT offers content-specific hourly tutoring and academic/executive functioning coaching. Our tutors come to you to provide in-home tutoring for your convenience. Don’t drive to a center! Stay put! Currently, we serve Baltimore City, Baltimore County, Anne Arundel County, Harford County, and Howard County. How is MTT different than other learning centers or private tutors? 1. Our tutors and academic coaches are certified teachers with a proven track record of success. That means we know the curriculum, but more importantly, we know students. We are experts at what we do. 2. MTT offers excellent one-on-one tutoring and academic coaching from highly qualified teachers at affordable rates. We don't force you into annual contracts and there are no hidden fees. 3. Our tutors come to you. We come to your home or another nearby location that is convenient for you. We also offer online tutoring, which is a high school & college student favorite! How long do I have to commit to tutoring? MTT will recommend a plan that is right for your child based on the initial phone conversation or consultation. As the parent, you have the final say, but keep in mind that consistent tutoring and coaching gives your child much better odds for academic success. Each session is 60 minutes. Sign up using our Contact Us page. We will be in touch within 24 hours.